# e.g. python GetData.py "00:29:40:08:00:01"
pi@raspberrypi:~ $ python GetData.py "00:2A:40:0B:00:4E"
The data gets stored into a CSV text file. The script has a list of BLE devices which are used to poll the data. With a Raspberry Pi and Python scripting, I can collect data from multiple BLE devices and store the information into a file for further processing. Because I don’t need to keep the BLE connection active, I can extend this to almost unlimited number of devices, without running into the typical BLE connection limit of around 8 devices. I’m using a similar way to update all the devices (e.g. with the current time/date), plus I have implemented a remote shell in each BLE device: that way I can send commands to each node which then are executed on the BLE device. The Python scripts used can be found on GitHub. This entry was posted in ARM, Bluetooth Low Energy, Boards, CPU's, Embedded, Hexiwear, Kinetis, NXP, Python, Raspberry Pi and tagged BLE, Bluetooth Low Energy, Hexiwear, Python, Raspberry Pi, software project, Store data, technology, Tips&Tricks by Erich Styger. Bookmark the permalink. I have recently built a robot based on a Raspberry Pi and a FRDM-KL25z. The FRDM is the one who controls the motors and reads the sensors, and the RPI does the networking and transmits the commands to the FRDM with a serial connection through a USB cable. The robot can be controlled from the internet and does a live streaming of the RPI Camera. I just love the versatility of this development board and i think it can be a very good partener with the NXP microcontroller. Yes, that approach works for any BLE device. But of course you need to change the attribute numbers to match your device. Additionally you need to pair to your device based on what they need. See the links at the end of this article which explain each of these steps. Whenever I pair a BLE with RPi3, RPi3 show No Service Available for this device. I also, tried Python Blue but no luck. Is gattool preinstalled library? 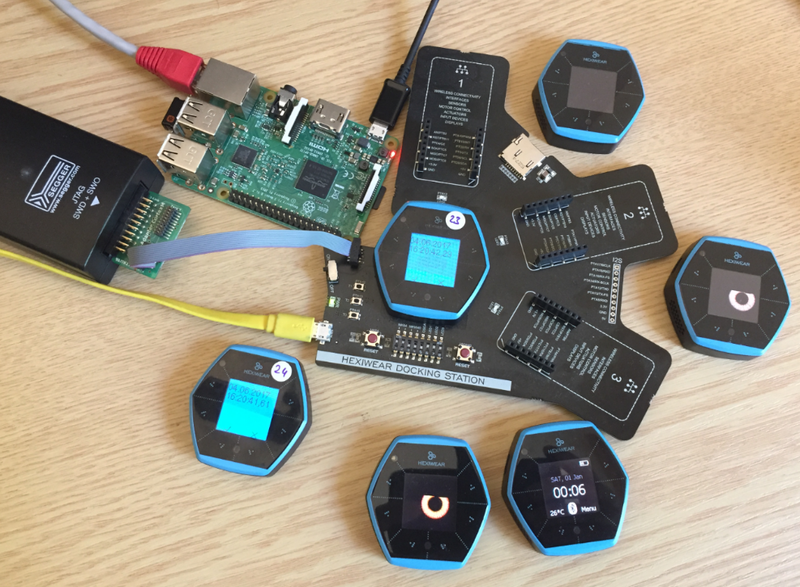 No, all these BLE tools are not installed by default. See the related articles in the links section of this post how to install and use them. * From the photo, it looks like you *may* be using a BLE USB Dongle — is that true? Or are you using the built-in Bluetooth radio? * I’ve heard that built-in BLE support has improved in recent versions of Raspbian (+ Jessie & Bluez). Does that significantly change your recipe (i.e. is there an updated blog entry in the making :-)? * Have you had any experience with the Pi Zero W and BLE? 1) No, I’m using a USB mouse/keyboard dongle. I’m using the built-in BLE of that Raspy. 2) I have if there is any other improvement with tha latest-latest version of the Linux distribution for the Raspy. But I assume the steps remain the same. Did not look at that recently.